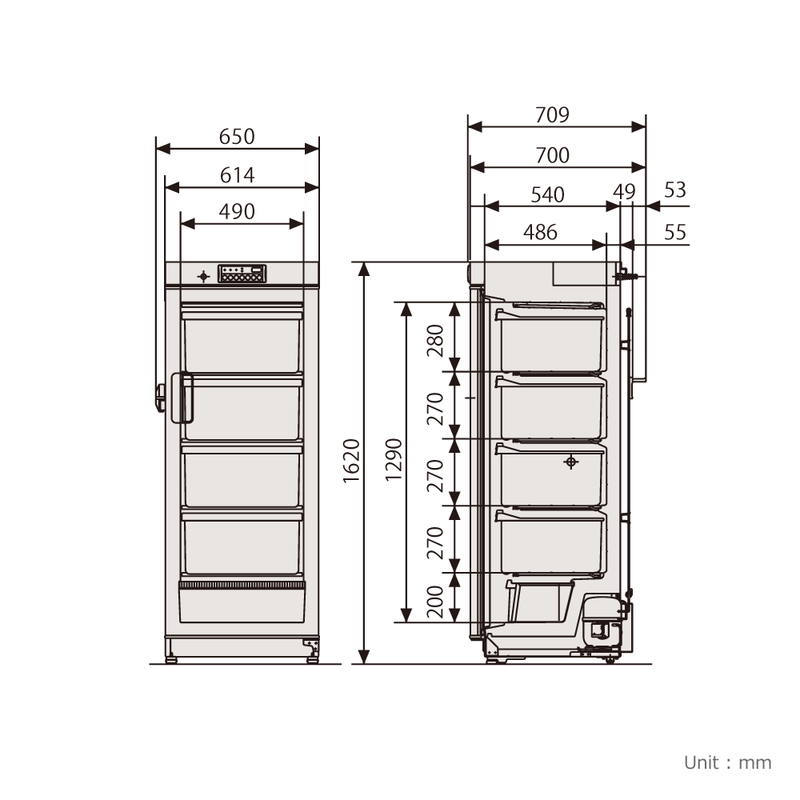 The PHCbi clinical-grade freezer is designed for short- and intermediate- term storage of pharmaceuticals and biologicals. 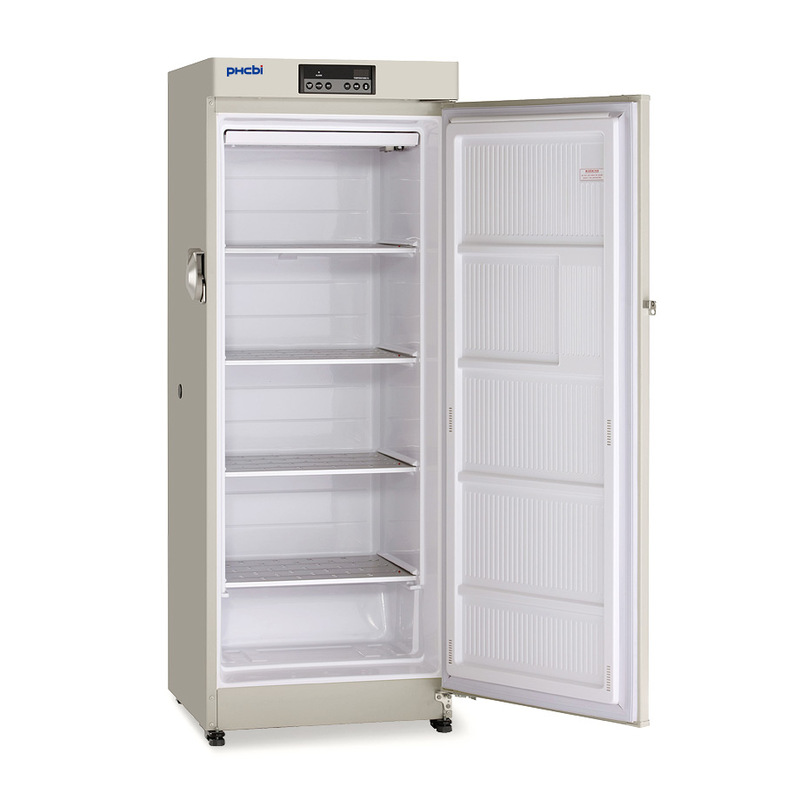 Model MDF-U334-PA -30°C biomedical freezer provides a storage capacity of 9.7 cu.ft. 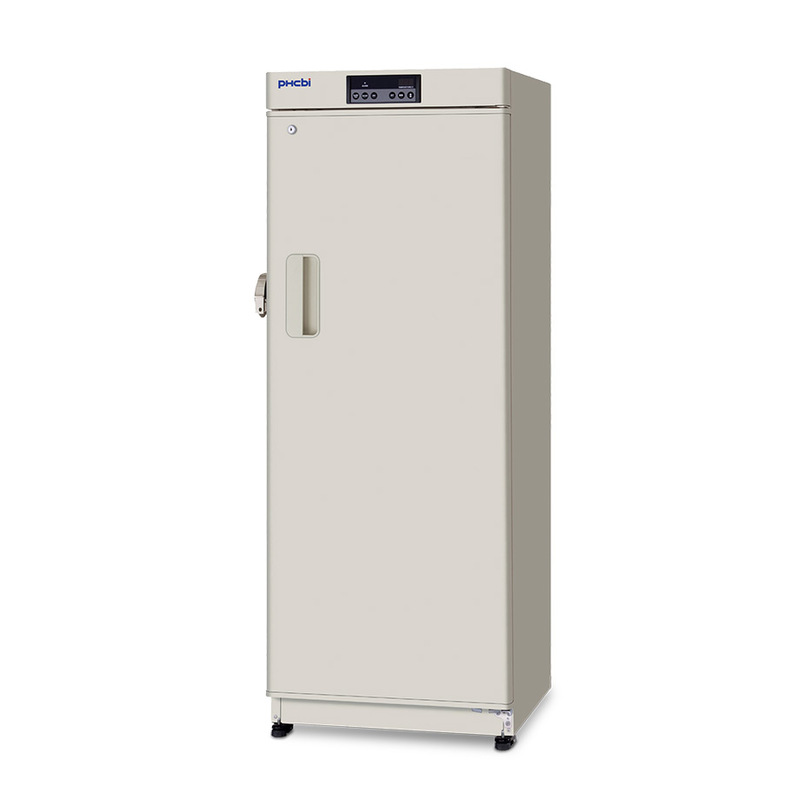 Constructed with high performance laboratory and clinical-grade refrigeration systems, these biomedical freezers are used in clinical, biotechnology and industrial labs. PHCbi's freezing coils in the shelves provide exceptional temperature recovery due to the expanded surface area offered by the shelf freezing design. 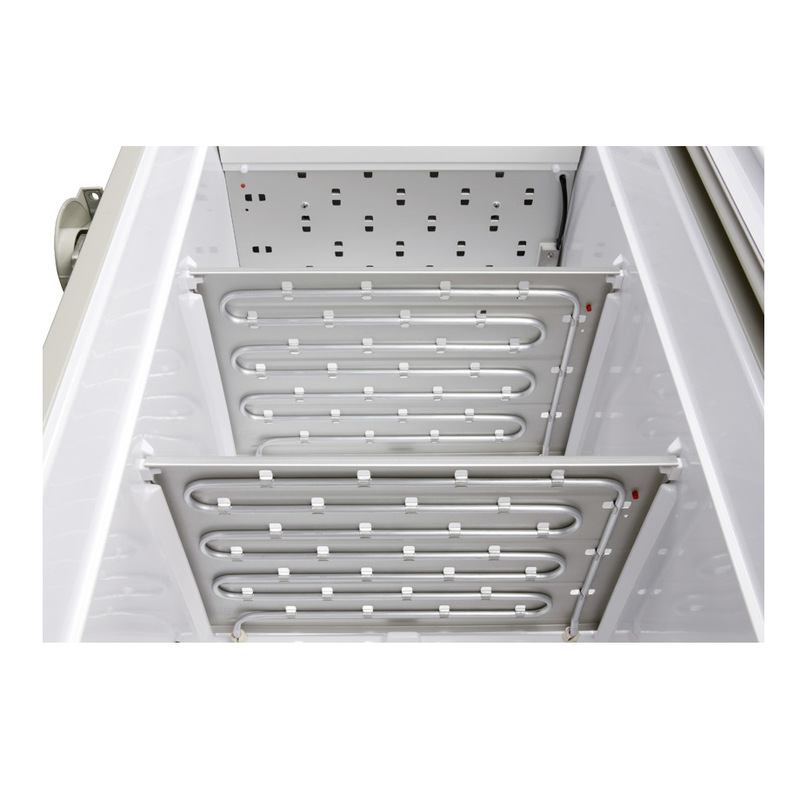 The quality of cold starts with interior temperature uniformity from top-to-bottom, front-to-back and side-to-side. Uniformity assures stored product safety regardless of where in the refrigerator it is placed. The robust refrigeration system, powered by PHCbi compressors, provides dependable cooling by balancing temperature performance and energy management. Reserve refrigeration power assures exceptionally fast temperature recovery following door openings. The PHC-built microprocessor controller includes secure setpoint management with factory pre-sets, high visibility digital temperature displays, battery backup, local audio/visual deviation alarms and remote alarm contacts. 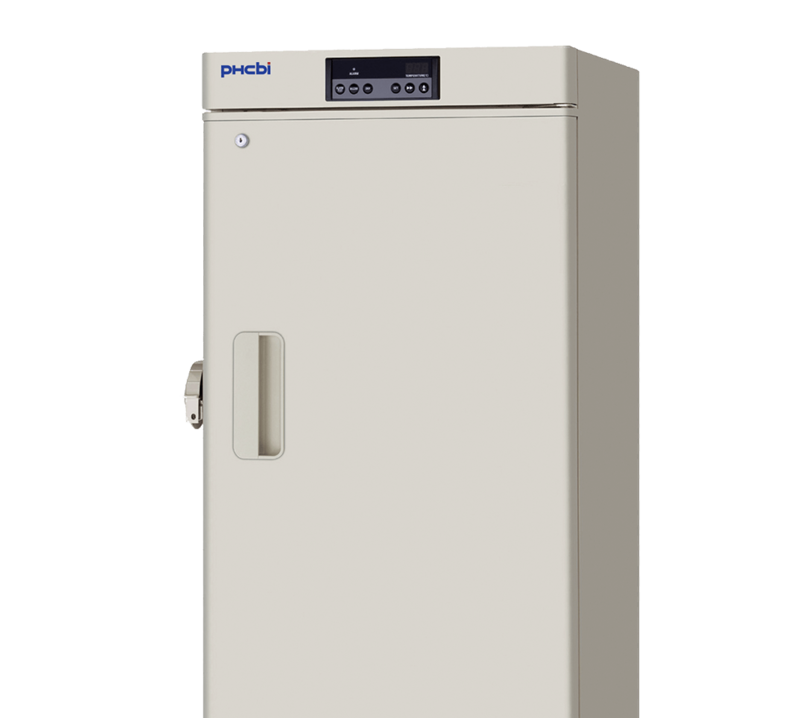 The PHCbi High Performance Biomedical Freezers are designed to preserve the integrity of biological samples at temperatures as low as -30°C. 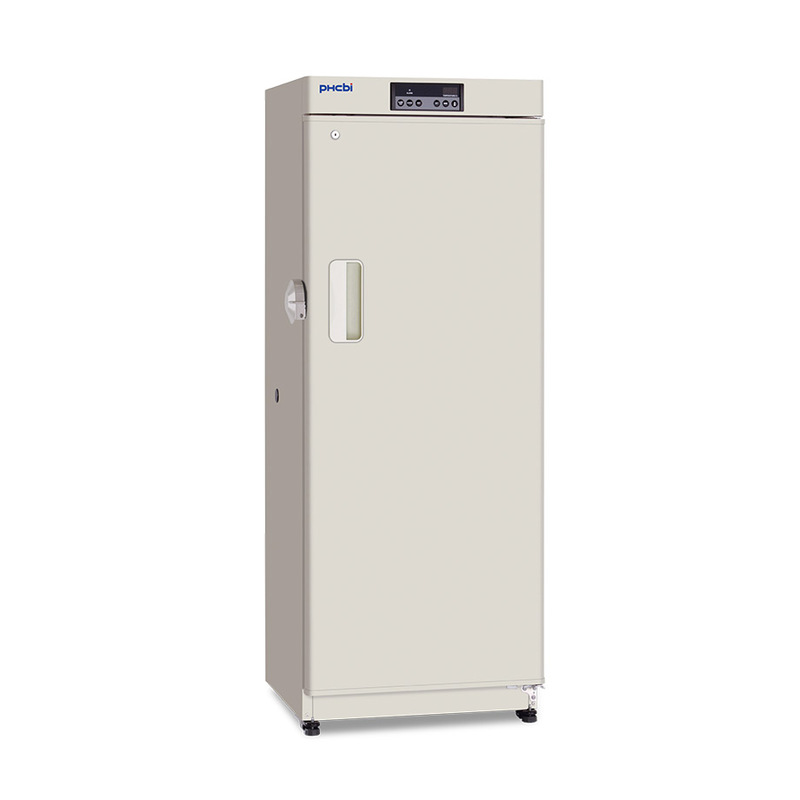 Constructed with high performance laboratory and clinical grade refrigeration systems, these freezers are used in medical, biotechnology and industrial labs for storage of blood components, enzymes, culture media, reagents, specimens and vaccines. 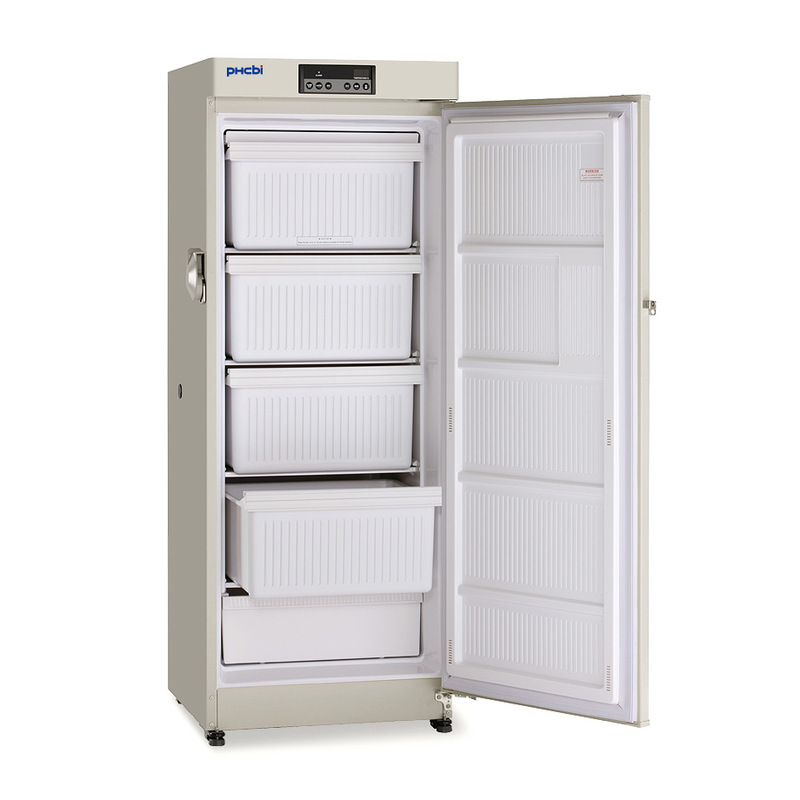 The MDF-U334-PA -30°C Biomedical Freezer provides excellent performance reliability, superior temperature uniformity and optimum storage capabilities. Price Upon Inquiry. Please contact us.